Do love Tina Fey? 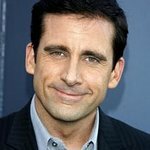 Do you love Steve Carell? Do you love charity? Of course you do – that’s why you are reading this article! Lovers of the comedy titans Tina Fey and Steve Carell recently got their chance to not only help others, but also to win a big screen debut with their favorite comedians, when the online charity auction site CharityFolks.com offered bidders a walk-on role in the upcoming Fey/Carell flick Date Night. The event brought in $14,000 and will benefit the community focused organizations DreamYard and The Urban Ecology Institute. Fey and Carell are no strangers to charity. Carell is an avid supporter of pediatric cancer and has used the special premieres of two of his recent films for the Zachary Carson Brain Tumor Fund. Fey has used her comedic genius to participate in events such as 2007’s A Night of Too Many Stars to bring attention to Autism as well as raise proceeds for Autism Speaks and Autism education programs.